The Gandhi Ghat of Barrackpore (Kolkata) is situated on the east bank of Hooghly River (also known as River Ganga). Outskirt of Kolkata at Barrackpore, world heritage site ‘Gandhi Ghat’ is located with so many memories of Mahatma Gandhi. Gandhi Ghat, Barrackpore is one of the popular tourist places near Kolkata & Hooghly. • Significance of Gandhi Ghat, Barrackpore, Kolkata: - Let’s check out why Gandhi Ghat of Barrackpore, Kolkata is famous (popular) and attracts tourists. Gandhi Ghat of Barrackpore (Kolkata) is a Heritage Site because Mahatma Gandhi Ji has spent time in this area at that time. This area of Barrackpore has very memorable moments of Mahatma Gandhi Ji. Thus, near to Gandhi Ghat there is a Gandhi Museum located. Barrackpore Gandhi Museum has rare collections of articles & books used by Mahatma Gandhi Ji. • Gandhi Ghat, Barrackpore, Kolkata Opening & Closing Timings: - No such opening & closing timings applicable for the tourists. All day long till evening; Gandhi Ghat is open for tourists and under 24-hours police observation. • Best time to visit Gandhi Ghat, Barrackpore, Kolkata: - Winter time is best to seat for long time to enjoy the natural beauty. But, you may go there any season (except monsoon). • Nearby places to visit from Gandhi Ghat, Barrackpore, Kolkata: - Just beside Gandhi Ghat, the entrance gate is located of Jawahar Kunj Park, Barrackpore. Jawahar Kunj is a clean & clear park for the people beside River Ganga. Apart from Jawahar Kunj, Barrackpore; you should visit Mangal Pandey Park, Dhobi Ghat, Gandhi Museum, Barrackpore Church. All together, Barrackpore has few places to visit and will make your day out amazing. • How to go to Gandhi Ghat? Route map of Gandhi Ghat, Barrackpore, Kolkata: - Now, let’s discuss where is Gandhi Ghat, Barrackpore, Kolkata and which route to follow to go to Gandhi Ghat. In case of Bus or CAB route; you should come to Talpukur More on B.T. Road (before Barrackpore Chiriamore coming from Kolkata / after Chiriamore if coming from Palta area) and from Talpukur More take a rickshaw (do bargain to fix minimum rickshaw fare) to Gandhi Ghat. People coming by Train should come to Barrackpore Station (Sealdaha – Barrackpore main line) and take auto or bus to Talpukur More. There is a Free Car Parking area opposite of Gandhi Ghat Gate for people coming on their own car / bike. • Accommodations near Gandhi Ghat, Barrackpore, Kolkata: - Now, let’s check out hotels, lodges, or any kind of rooms on rent are available or not near to Gandhi Ghat. Gandhi Ghat, Barrackpore (Kolkata) is located inside Police Quarters; so no hotels & rooms available to stay near Gandhi Ghat. But, you could get Hotel Rooms at Barrackpore Chiriamore area on B.T. Road (Main Road). Food stalls like Bhelpuri, Muri, Phuchka, Tea, Coffee etc are available outside Gandhi Ghat Entry Gate. You may also check out this video clip of Gandhi Ghat, Barrackpore, Kolkata. Overall, you would enjoy your trip to Gandhi Ghat of Barrackpore (Kolkata). Princep Ghat of Kolkata is one of the most visited tourist places in Kolkata situated on Hooghly (Ganga) River bank. James Prinsep Monument & Gwalior Monument are there at Princep Ghat, Kolkata. Here you will get to know - How to go to Princep Ghat from different areas of Kolkata? Chakra Rails / Circular Train timings to Kolkata Princep Ghat Railway Station? 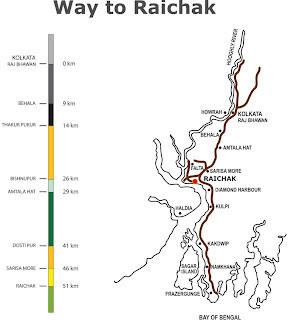 Bus route of Princep Ghat from various places of Kolkata & Howrah. Best time to visit Princep Ghat of Kolkata? Attractions & what are the things to see at Princep Ghat of Kolkata? How costly / charges of Hooghly (Ganga) River cruise (Ride) on small boats, ships or launches at Princep Ghat, Kolkata? Details of Picnic spot in Kolkata i.e., Princep Ghat. Kolkata Princep Ghat (James Prinsep Ghat) is situated on the banks of Hooghly River (Ganga) and it's famous for spending leisure time alone or with loved ones in calm & peace. You will get to see an exclusive view of 2nd Hooghly Bridge, excellent view of boats & launches riding on river Ganga. You will surely enjoy the excellent view of River Ganga (Hooghly Riverside banks) from Kolkata Circular Rail during the journey to Princep Ghat [James Prinsep Ghat]. Beautification, decoration & lighting of Kolkata Riverside areas should attract your mind as well. Don’t forget to have a walk at Princep Ghat [Prinsep Ghat] Riverside Park and get to see Gwalior Monument in Kolkata, located few minutes away from Princep Ghat Riverside Park. Don’t think what to eat there at Princep Ghat; because there are so many options available to fight with the hunger. Phuchka (panipuri), Bhelpuri, Jhalmuri, Tea, Coffee, Pau-bhaji (Bread toast), egg roll, chowmin & many other fast food stalls are available inside Princep Ghat Kolkata at reasonable price. So, there is no need to carry food while travelling to Kolkata’s Princep Ghat with your beloved one. Facility of Boat ride on River Ganga (Hooghly River) at Princep Ghat, Kolkata is there for you. People can avail the Ferry / Boat service of Princep Ghat (chargeable) to have a romantic time on river cruise with their friends or loved one. Small & large; both types of boats are available at Princep Ghat Kolkata for Ganga river cruise. Let’s check out the price (charges / cost) of Boat Ride at Princep Ghat, Kolkata now. It’s a bit costly for a single person, but cheap for a group of 5-6 people. Princep Ghat Boat Ride (Ganga River Cruise) charge is only Rs.500/- for 1 hour and Rs.300/- for 30 minutes. Maximum, 5-6 people are allowed in the small boats. Boats will take you under 2ng Hooghly Bridge and you will surely enjoy the panoramic view from River Ganga. It’s recommended to ride on small ships (Mayurpankhi launch). A special ship is developed like a 'Mayur' / 'Hansa' thus it's called as 'Mayurpankhi' / 'Mayurhansa' ship in local language. This specially decorated Mayur-pankhi / Mayur-Hansa ship gives you Ganga River Cruise (Hooghly River Cruise) at low cost towards 2nd Hooghly Bridge from B.B.D. Bagh, Kolkata. There is a monument made to show the honour towards James Prinsep during British era in Kolkata. You will surely love the awesome view of white coloured James Princep Monument and 2nd Hooghly Bridge on the background. Believe me; the view of James Prinsep Monument is brilliant in the evening with the lightings. It’s recommended to go there around 3pm-4pm to see James Princep Monument in daylight as well as in evening lighting. Let’s check out the routes to reach Prinsep Ghat, Kolkata from different parts of Kolkata & suburban areas. Most easy & comfortable way to go to Princep Ghat is by Kolkata Circular Railway (Chakra Rail). People can go by Kolkata Circular Trains from Ballygunje, Majherhat, Khidderpore stations located at South Kolkata and also from Bongaon, Habra (North 24-Parganas), Barrackpore, Sodepur, & Kolkata Airport. North Kolkata people are advised to catch trains towards Princep Ghat from Dumdum station. Here is the Kolkata Circular Train timings at Dumdum station. By Road you can also go to Princep Ghat which is very near to Eden Gardens & 2nd Hooghly Bridge and situated on Strand Road, Kolkata. Aqua Marina Water Park of Hooghly is one of the best picnic spots & tourist spots nearby Kolkata, Howrah and located only 35-Kms away from Kolkata. Kids will love to visit Aqua Marina Water Park Hooghly because of its greenery and water sports & rides. You could even make a short weekend trip to Aqua Marina Water Park Hooghly from Kolkata / Howrah with you family as well because there is accommodation & food facilities available. • Where is Aqua Marina Water Park, Hooghly? If you are looking for the exact location of Aqua Marina Water Park of Hooghly then let me tell you that Aqua Marina Water Park, Hooghly is just 1-KM way from Hooghly Railway Station and only 35-KM distance from Kolkata. So, both the Train routes and Roadways are available to reach Aqua Marina Water Park, Hooghly from Kolkata or other places nearby. Please follow, Howrah-Burdwan Main Line route to come Aqua Marina Water Park, Hooghly by Train and follow G.T. Road to visit Aqua Marina Water Park, Hooghly from Kolkata by car. As the name suggest, it’s a Water Park with lots of water games and exclusive water rides like Slide pool, water pool, wave pool etc. Aqua Marina Water Park, Hooghly is also a famous picnic spot in Hooghly where you will get to see a conference hall that can accommodate nearly 200 persons. Aqua Marina Water Park, Hooghly has their own restaurant inside for serving food to the guests. Those who want to stay or want to visit Aqua Marina Water Park, Hooghly as weekend tour from Kolkata may book Rooms at Aqua Marina Water Park, Hooghly at cheap room rent. Room booking facilities at Aqua Marina Water Park, Hooghly can be done by calling 98311-89191 / 98312-22880 phone numbers of Aqua Marina Water Park, Hooghly office. Entry Fees for Adult person is Rs. 90/- and for children (6yr-12yr) is Rs. 50/- is applicable for the entry to Aqua Marina Water Park, Hooghly which remains open till 6pm from 10am. Those who want to stay at Aqua Marina Water Park, Hooghly for few days and want to know how much is the Room Charges at Aqua Marina Water Park, Hooghly; here it is - Room available starting from Rs.1500/- to Rs.2000/-. Aqua Marina Water Park, Hooghly offers quality foods only at Rs 275/- (for veg dishes) & Rs.295/- (for non-veg dishes) includes breakfast, lunch and tea. There are few more spots that you can visit from Aqua Marina Water Park of Hooghly and they are Bandel Church, Chandannagar French Museum, Hangsheshwar Mandir, Imambara of Bandel & Birth Place of Sarat Chandra Chattopadhaya Debanandapur etc. 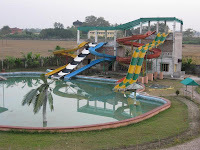 Search Tags: Aqua Marina Water Park Hooghly – Picnic Spot near Kolkata details of facilities, picnic packages entry fee timing of Aqua Marina Water Park Hooghly how to reach at Aqua Marina Water Park address contact number of Aqua Marina Water Park. Suakhal Hooghly Picnic Spot is one of the best picnic spot & weekend tourist places near Kolkata & Howrah in West Bengal. Suakhal Picnic Spot of Hooghly district of Bengal is situated Rajhat area of Hooghly district. If you are looking for good place to visit near Kolkata/Howrah with your family as Weekend Tour or to have picnic then why not Suakhal Hooghly Picnic Spot? • Suakhal Hooghly Picnic Spot Route from Kolkata: - There are both Train Route & Roadways available from Kolkata to reach Suakhal Hooghly Picnic Spot from Kolkata or nearby areas like Howrah, Hooghly etc. If you prefer the Roadways to Suakhal Hooghly Picnic Spot from Kolkata then you should follow this route Kolkata – Bally – Dankuni – Delhi Road – Bandel – Adi Saptagram & then comes Suakhal (before Mogra). Approximately two hours taken to reach Suakhal Hooghly Picnic Spot from Kolkata and only 50-Kms is the distance between Kolkata & Suakhal Hooghly Picnic Spot. In case you want to take the Train Route to Suakhal Hooghly Picnic Spot from Kolkata then you should take Trains towards Burdwan from Howrah Railway Station (Check Howrah – Burdwan Main line Local Train Timings). There are auto and bus services available from Adisaptagram Railway Station to Suakhal Picnic Spot. • Suakhal Hooghly Picnic Spot Details: - Suakhal Picnic Spot of Hooghly is situated at Rajhat on approximately 8-acre land with 36 separate picnic spots inside the Suakhal Rajhat Park of Hooghly. Toy Train (ticket price is Rs.10/- per head), Wonder House (ticket price is Rs.5/- per head), Wonderland, Energy Education Park, Energy Drum, etc for kids to enjoy at Suakhal Picnic Spot & Park of Rajhat Hooghly. This picnic spot & park Suakhal opens at 8am and remains open till 6pm and the entry ticket price is Rs.10/- per head. The rate / charges of picnic spots at Suakhal Rajhat Park starts from only Rs.25/-. • Best time to visit Suakhal Hooghly Picnic Spot: - Suakhal Hooghly Picnic Spot is quite far from Kolkata and this is why Winter Season is the best time to visit Anandakanan Picnic Spot of Nabadwip. • Suakhal Hooghly Picnic Spot Accommodation Hotels: - If you want to stay at Suakhal Hooghly Picnic Spot and want to know where to stay at Suakhal Hooghly Picnic Spot then let me tell you that there are cottages available at Suakhal Rajhat Park of Hooghly. To book your Suakhal Picnic Spot of Rajhat Hooghly & to book Cottage please call 033-26842135 / 033-26802681 / 033-26802139 phone numbers. Detail address of Suakhal Park - Adi Saptagram Station, Zilla Parisad Bhavan, Chinchura, Hooghly-712101, West Bengal. Search Tags: Suakhal Hooghly Picnic spot near Kolkata, How to go Suakhal Hooghly picnic spot of North 24 Parganas West Bengal, Features facilities attractions of Suakhal Hooghly picnic spot near Kolkata Howrah in Bengal, Suakhal Hooghly Picnic Tourist Spot details, routes to follow Suakhal Hooghly picnic spot route map from Kolkata Howrah distance to Suakhal Hooghly picnic & tourist place from Kolkata Howrah train bus road routes to Suakhal Hooghly Picnic Spot Tourist Place of Bengal near to Kolkata, accommodation hotels lodges room charges at Suakhal Hooghly Picnic Spot Tourist Place. Rasulpur Malancha Nature Park Picnic Spot is one of the best picnic spot & weekend tourist places near Kolkata & Howrah in West Bengal. Rasulpur Malancha Nature Park Picnic Spot of Burdwan district of Bengal is situated at Rasulpur near to Memari. 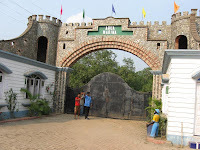 If you are looking for good place to visit near Kolkata/Howrah with your family as Weekend Tour or to have picnic then why not Rasulpur Malancha Nature Park Picnic Spot? • Rasulpur Malancha Nature Park Picnic Spot Route from Kolkata: - There are both Train Route & Roadways available from Kolkata to reach Rasulpur Malancha Nature Park Picnic Spot from Kolkata or nearby areas like Howrah, Hooghly etc. If you prefer the Roadways to Rasulpur Malancha Nature Park Picnic Spot from Kolkata then you should follow Delhi Road -> Durgapur Expressway and should take the right turn after Palsit More. Approximately one & half hours taken to reach Rasulpur Malancha Nature Park Picnic Spot from Kolkata and only 96-Kms is the distance between Kolkata & Rasulpur Malancha Nature Park Picnic Spot. In case you want to take the Train Route to Rasulpur Malancha Nature Park Picnic Spot from Kolkata then you should take Trains towards Burdwan from Howrah Railway Station (Check Howrah - Burdwan Local Train Timings). Rasulpur Malancha Nature Park Picnic Spot is just 5 minutes from Rasulpur Railway Station and 10-15 minutes from Burdwan Railway Station. Joyous boat rides – Paddle boats, Rowing boats are available for sporting and gay riding. Beautiful Shikaras with skilled boatmen are also available for sunset joy riding. Merry go round, swings, slides, target shooting, Bouncy castles, frog fun make children have their thrill of the day. Wide green patches surround the park, displaying various shades of green moves nature closer to life. Friends, family, colleagues and a place to break free Picnic is the magic word. self-supporting womenfolk of the village provide suited assistance to get you the ingredients and basic amenities in place and make your picnic a grand success. Exclusive cottages with supporting pantry services. hot water, Air Conditioning, fully furnished and well equipped. Open for corporate bookings, special family reunions or individual accommodation for a natural experience. Tasty Indian as well as typical Bengali cuisine available at the food court both during weekdays and in weekends. Special orders are also taken for parties. Fishing yet continues to be a favourite pastime for Bengalis. Keeping that in mind, Malancha Nature Park provides wide opportunity for fishing lovers. Special pockets near the lake are reserved for fishing. Special boats are also available for fishing in the deeper areas. An event managing stage with state of the art sound mixing equipments is available for special shows and performances. New Attraction of Rasulpur Malancha Nature Park is the picturesque “40 ft” long waterfall. • Best time to visit Rasulpur Malancha Nature Park Picnic Spot: - Rasulpur Malancha Nature Park Picnic Spot is the picnic spot & tourist place; this is why Winter season is the best time to visit. • Rasulpur Malancha Nature Park Picnic Spot Accommodation Hotels: - If you want to stay at Rasulpur Malancha Nature Park Picnic Spot and want to know where to stay at Rasulpur Malancha Nature Park Picnic Spot then let me tell you that there are few Cottages available for the guests and you can book them by visiting their Kolkata Office (MALANCHA NATURE PARK, GUNJAN RECREATIONS PRIVATE LIMITED, 4A, Mahendra Road, Kolkata -25 – Phone number 033 32571764 / 98310 31183). 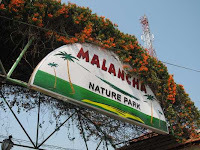 • Things to remember during Rasulpur Malancha Nature Park Picnic Spot Tour: - Take extra care of your kids, because there are total of 7 Lakes inside the Rasulpur Malancha Nature Park. Search Tags: Rasulpur Malancha Nature Park Picnic spot near Kolkata, How to go Rasulpur Malancha Nature Park picnic spot of North 24 Parganas West Bengal, Features facilities attractions of Rasulpur Malancha Nature Park picnic spot near Kolkata Howrah in Bengal, Rasulpur Malancha Nature Park Picnic Tourist Spot details, routes to follow Rasulpur Malancha Nature Park picnic spot route map from Kolkata Howrah distance to Rasulpur Malancha Nature Park picnic & tourist place from Kolkata Howrah train bus road routes to Rasulpur Malancha Nature Park Picnic Spot Tourist Place of Bengal near to Kolkata, accommodation hotels lodges room charges at Rasulpur Malancha Nature Park Picnic Spot Tourist Place. Though Chupi Purbasthali Burdwan weekend tourist spot nearby Kolkata & Howrah isn’t familiar to the tourists, still it has enough to amaze tourist with its natural beauty. People who want to make short tour nearby Kolkata & Howrah within West Bengal, can surely tour Chupi Tourist Spot located at Purbasthali in Bardhaman (Burdwan) district of West Bengal. Chupi weekend tourist spot of Burdwan has been created by River Ganga’s pali maati. It’s an ‘Aswakhur Akriti Hrod’ (‘Chupi Char’) having deep blue water and in winter season 83 types of birds used to gather. Boating facility is available on 2-3 Kms long Chupi Lake in Burdwan. 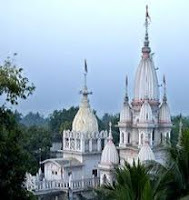 Tourists may visit Krishnanagar, Mayapur Iskcon Temple and Nabadwip Gourango Dham that are few kilometers far from Chupi tourist spot in Burdwan. Since, there are no hotels or lodges (accommodations) in Chupi Tourist place in Burdwan, it’s recommended to the tourists to visit Chupi Weekend Tourist Spot of Bardhaman and from there they should go for Mayapur or Nabadwip and could stay there. Various types of birds is the main attraction of Chupi, Burdwan and thus the best time to visit Chupi Tourist place is between October and February month i.e., in winter season. Both bus and train routes are there from Kolkata & Howrah to tour Chupi weekend tourist spot of Burdwan. By Road, tourists should take the highway towards Burdwan and ask for Chupi area (Kolkata to Chupi distance is nearly 120 Kms). Best way to visit Chupi tourist spot in by train from Howrah. Take the trains Howrah-Bardhaman (main line) and come to ‘Purbasthali’ station and from ‘Purbasthali’ station hire a Van-rickshaw to Chupi tourist place in Burdwan. Search tags: Chupi Purbasthali Burdwan attractions features, Chupi Purbasthali Burdwan routes path ways, Chupi Purbasthali Burdwan hotels rooms lodges, Chupi Purbasthali Burdwan trains buses, kolkata howrah distance Chupi Purbasthali Burdwan. Bored in your daily life? Do you love adventurous tour in Jungle (Forest)? Are you looking for a Weekend tourist place near Kolkata & Howrah? Are you thinking about any Forest (Jungle) to visit in coming weekend? – West Bengal is full of tourist spots and there is no shortage of weekend tourist spots nearby Kolkata & Howrah as well. If you can manage 2-days or more then you should go the nearest Jungle (Forest Range) of Kolkata & Howrah. Yes, we are talking about Parmadan Forest Range in Bongaon that is known as ‘Bibhutibhushan Abhayaranya Parmadan Bongaon’. Bibhutibhushan Abhayaranya Parmadan Bongaon Forest Range has the beautiful natural view and ‘Ichamati’ river added the extra adventurous feeling to the jungle where Saal, Segun, Sishu & Bamboo trees don’t allow the sun to the ground. Tourists would love to see the view when Deer drink water of Ichamati River & birds enchanting their own lyrics. Forest development authorities provide the opportunity of Boating ride on the Ichamati River that will make your Jungle Tour more adventurous. 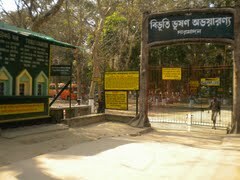 Tourists should also visit the Zoo located near to Bibhutibhushan Abhayaranya Parmadan Bongaon Forest and see the Ajgar, Macao, Kakatua, Deer etc and also requested to see the Bharat-Bangladesh Border at Puspighata that is only 6Kms away from Bibhutibhushan Abhayaranya Parmadan Bongaon Forest Range. Once you made up your mind that you want to go to Bibhutibhushan Abhayaranya Parmadan Bongaon Forest then there wouldn’t be any problem with the path as it’s simple & easy to follow. Train Route to Bibhutibhushan Abhayaranya Parmadan Bongaon Forest from Kolkata (Sealdaha) is preferable as direct Train to Bongaon from Sealdaha would safe your time of journey. Tourists need to take Van or Jeep from Bongaon Station to Naldugri. 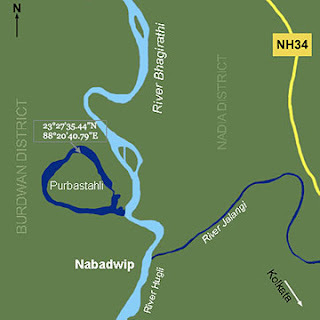 Those who want to tour Bibhutibhushan Abhayaranya Parmadan Bongaon Forest via Bus Route can also hire Buses from Esplanade (Dharmtala Kolkata) towards Naldugri. Parmadan Forest range is near to Naldugri and van rickshaws are available from Naldugri to Parmadan Forest of Bongaon. If you are thinking about the hotels, lodges or accommodations in Bibhutibhushan Abhayaranya Parmadan Bongaon Forest, then not to worry about Bibhutibhushan Abhayaranya Parmadan Bongaon Accommodation availabilities because there are few small hotels & lodges available for the tourist to stay and also West Bengal Government’s Forest Bungalow is there at Bibhutibhushan Abhayaranya Parmadan Bongaon for the tourists. Forest Bungalow (Guest House) Rooms of Bibhutibhushan Abhayaranya Parmadan Bongaon should be booked prior making the visit. The Booking office of WB Forest Bungalow at Bibhutibhushan Abhayaranya Parmadan Bongaon is located near to Barasat Chapadali More in North 24-Pgs (contact number of room booking is 033-2552-0968). So, book your room at Bibhutibhushan Abhayaranya Parmadan Bongaon and go for an adventures weekend tour in Forest near Kolkata. Divisional Forest Officer Rest House is located on the banks of Ichamati River. Room Booking can be made at below mentioned Barasat Office:Divisional Forest Officer, Champadali Divisional Forest Office Barasat, North 24 Parganas. Telephone number is 033-25520968. The charges of rooms as follows: (1) Double-bed room charge Rs.250/- per day, (2) 4-bed room costs is Rs. 400/- per day and (3) 7-bed dormitory room price is Rs. 600/- per day. Tourists can arrange a short weekend tour to the nearest forest from Kolkata ‘Bibhutibhushan Abhayaranya Parmadan Bongaon’ at any season in the year. But, it’s recommended to visit Bibhutibhushan Abhayaranya Parmadan Bongaon Forest in winter season as various types of birds used to come & gather at Bibhutibhushan Abhayaranya Parmadan Bongaon in winter which will be the added attraction of Bibhutibhushan Abhayaranya Parmadan Bongaon Forest to the tourists visiting. Search Tags: Bibhutibhushan Abhayaranya Parmadan Bongaon Forest Jungle, Weekend tourist spot place nearby Kolkata Howrah in West Bengal, Hotels Rooms Lodges price booking Bibhutibhushan Abhayaranya Parmadan Bongaon Forest Jungle Route map path distance from Kolkata how to go to Bibhutibhushan Abhayaranya Parmadan Bongaon Forest Jungle sightseeing places visit attractions Bibhutibhushan Abhayaranya Parmadan Bongaon Forest Range location room charges details news on Bibhutibhushan Abhayaranya Parmadan Bongaon Forest Jungle range. Raichak is one of the best weekend tourist spots nearby Kolkata & Howrah within West Bengal. People who are tired of daily fast life & want to spend few days lonely far from the noise & pollution of the Kolkata City are welcomed to Raichak that will refresh your mind surely. Raichak Tourist Spot is located beside River Ganga and has few tourist attractions for the people who love to tour. Basically, Raichak is a weekend tourist location near to Kolkata and in Raichak you can enjoy one or two days easily and get refreshed from daily hard work. Fort Raichak, which was established by East India Company (British) in 1783 & in 1990’s reconstructed by private companies, is the main attraction of Raichak. Golf courts, Tennis court, swimming pool, Spa, Body Massage all are available at Fort Raichak Resort of Raichak. Tourist can go for Adventurous Boat ride from Raichak to Diamond Harbour & Haldia. The amazing view of Sunrise & sunset on River Ganga will surely amaze you. Raichak isn’t too far from Kolkata or Howrah and so Raichak is became one of the best weekend tourist spots in Bengal nearby Kolkata & Howrah. Raichak & Kolkata distance is not more than 50-Kms. If you are thinking how to go Raichak from Kolkata (Sealdaha or Howrah) & what’s the route (path) to follow to visit Raichak from Kolkata; then let me tell you that there is no problem in transportation service from Kolkata to Raichak. Yes, Semi-Luxury Buses are available from Dharmatala Bus Stand (Esplanade) that can be taken to visit Raichak from Kolkata. Since, it’s only 50-KM distance between Raichak & Kolkata; it’s recommended to use your own car or rent a car to have a luxurious weekend tour to Raichak from Kolkata. Raichak is now becoming a very popular weekend tourist place for Kolkata & Howrah & nearby peoples who love to tour very often. There is no shortage of Rooms, lodges, cheap hotels in Raichak to stay healthy. 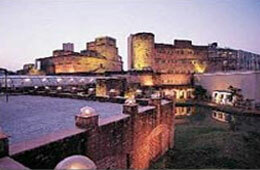 But, tourists should try to stay at ‘Fort Raichak’ which is the best place to live in Raichak during your tour. Otherwise, tourists may book rooms at various Ganga-Kutir (Rooms beside River Ganga at Raichak). Search Tags: Raichak Tourist Spot details, Weekend tourist locations near Kolkata Howrah, Raichak attractions places to visit, Raichak accommodation book rooms online hotels in Raichak, Raichak Kolkata route paths distance, Kolkata-Raichak route map. During the winter season we all love to go for picnics with our family or colleagues or friends. Those who are looking for a good picnic spot near by Kolkata Howrah and also looking for weekend tourist spots near Kolkata Howrah in Bengal can now enjoy their weekend tour or picnic at Pujali area of Bengal which is near to Kolkata and Howrah and also easily accessible from Kolkata and Howrah. The Picnic Spot near Kolkata Howrah in Bengal and also a beautiful weekend tourist place near Kolkata Howrah in Bengal is founded and developed by Pujali Pourasabha (Pujali Municipality) few years back. The Pujali Purosabha management has developed three picnic spots in Pujali which is near to Kolkata-Howrah. There are several Bus Routes to Pujali from Kolkata are available and also Train Route to Pujali from Kolkata Station is there. Weekend Tour and Picnic Spot Pujali is developed in 832 hector area which is surrounded by Hooghly River and the ultimate place for Picnic or Weekend Tour near Kolkata. The total Kolkata Pujali Distance is 26 Kms. Tourists can also stay at Pujali Weekend Tourist Spot Bengal near to Kolkata-Howrah at the Pujali Guest House Achipur (Hotels and Resorts at Pujali Weekend Tour spot is yet to develop). The Pujali Municipality Chairman has started to develop a new project within 2014 named Eco Tourism Park at Kamarpara and Kumorpara area of Pujali Purasabha with Boating facility, Cottage facility for staying as well. Another Picnic Spot in Pujali near Kolkata and Weekend Tourist Spot near Kolkata is Indiraghat Picnic Spot in Pujali Purasabha. Have you managed one day or want to know how to enjoy your one day holiday by touring nearest visiting place with family or beloved one? Do you want to know nearest places to visit from Kolkata for one day tour? Hansheswari Temple of Chuchura is one of the historical establishments waiting for your visit. Nearly 200 years old Hansheswari Temple in Chinsurah located near Bansberia of Hooghly District of West Bengal can easily be visited by Trains towards Bardhaman from Howrah (Kolkata) main line. Visitors need to come to Adi Saptagram Railway Station on Howrah-Bardhaman Main line Train route and from Adi Saptagram Station take Auto-Rickshaw to Bansberia’s Hansheswari Temple. People can also opt for Howrah-Katowa Trains to Bansberia Station and then visit Hansheswari Temple at Chinsurah. By Bus routes to Hanshewari Temple is available from Kalyani Station as well. Apart from Hansheswari Temple at Chinsurah, Hooghly tourists may also visit nearest tourist places like Vishnu Mandir (341 years old), Goyeshpur Jubilee Park, Bandel Catholic Church, Imambara Bandel – these near by visiting places of Hansheswari Temple can be covered on a single day tour.